Has it been a while since your last audition? Wonder if your agent is still alive? 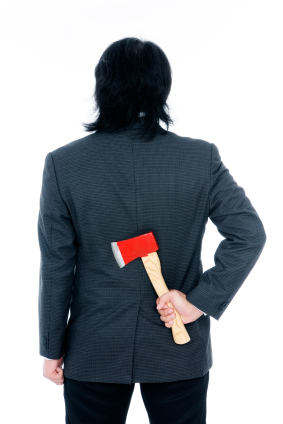 Getting worried that your agent may be getting ready to give you the boot? It would make sense-if you’re not being called in for auditions, then you’re not making money for either you or your agent. If you’re not making anybody money, then you’re not an asset to the agency, right? If you’re in a large agency in one of the major markets, then you may have something to worry about. It is customary for agencies to “purge” talent who aren’t really producing. Maybe you showed up unprepared to your auditions, or maybe it’s just slow for your type. Whatever the reason, if you haven’t been getting auditions or booking jobs and you’re in L.A. or N.Y.C., chances are you should probably be hunting around for a new agency. But if you’re in a smaller market, your agency may be more likely to keep you around even if you’re not booking jobs at the moment. Especially if you’re represented by a large commercial agency that takes on many different ages and character types. Why would your agency keep you around, even if you’re not making them money? Simple–it’s a numbers game. The greater amount of different types the agency has access to, the greater number of people will get booked on the job. Think about it. Commercial agencies often make deals for talent based on the project and usage, but also the number of people the client is booking. As an agent, I would often give clients rates for jobs based on them booking one talent, 5-6 talent, more than 12 talent, or all of the talent through our agency. The more of our talent that got booked, the cheaper the per-talent rate gets. Often on really big jobs this would mean showing the clients talent we normally wouldn’t submit to cover all of the age and race demographics they were looking for. There were many a time when we were madly calling in talent that we hadn’t seen or talked to in months to make sure they still looked the same as when we last saw them. So if you feel like you’ve been abandoned by your agency that’s not necessarily a cause for alarm. It all depends on how often you’d like to work. For many talent that have another day job and are happy being called a few times a year, this works out great. If you’d like to pursue things a little more actively, consider meeting with some different agencies in your market, or niche agencies that specialize in getting work for your type. Bottom line-until either you or the agency terminates your agreement, you’re still with the agency. Make the most of the relationship or move on to a new agency.